A fashion house, an international environmental organization, and a beer company come together to support wild tiger population. Tiger Beer has announced a unique collaboration with the environmental organization, WWF, and the French fashion house, KENZO, on the Rare Stripes collection which aims to shine a spotlight on endangered wild tigers. Tiger beer is no stranger to cause-marketing and aimed to protect the animal from which it inherits its name and logo with last year's #3890Tigers campaign [below]. The campaign urged consumers to pledge against illegal tiger trade through AI selfie art. The world’s wild tiger population has dramatically declined over the past century due to poaching and habitat destruction, leaving the world with as few as 3,900 tigers. To raise awareness and support for wild tigers, the Rare Stripes Collection has been created, via Ogilvy Japan, as part of Tiger Beer’s partnership with WWF, which is a six-year initiative that supports TX2, the global goal to double the world’s wild tiger population by 2022. Above: Meryl Smith's Nameless design was inspired by a wild tiger that was discovered injured by snares in Malaysia. 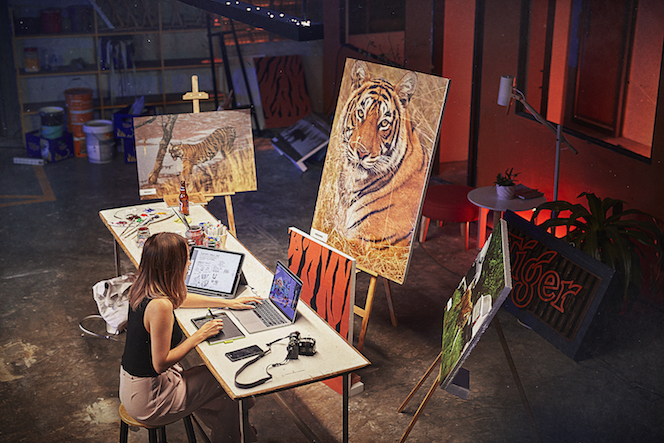 For this year's campaign, fashion brand Kenzo, who also uses the tiger as its logo, and WWF are collaborating with Tiger Beer with four emerging artistic talents from around the world. The brands have handpicked four global emerging artists to create a limited-edition collection of garments. The collaborators in question are contemporary artist and sculptor Meryl Smith, illustrator and designer Esther Goh, illustrator and printmaker Julienne Tan, and visual and digital artist Sean Lean. 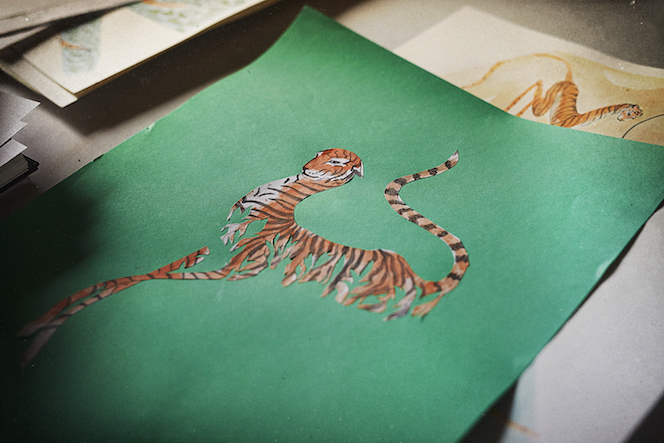 They plan to create a limited edition collection inspired by the lives of eight tigers from the wild. The collaboration's goal is to raise global awareness and funds for wild tigers: 100 per cent of the proceeds from the sale of the collection will go to WWF in support of doubling the world’s wild tiger population. The global launch event will be held in Tokyo, Japan on July 20, and the Rare Stripes collection will be available to consumers on 21 July on the KENZO e-commerce site.